The Austin American-Statesman published a story yesterday with news of progress – or lack thereof – in the Austin soccer stadium search: Aztex still seeking a place to call home. Seven months after the franchise announced it was shutting down for a year, the Austin Aztex still need to find a stadium solution before they possibly return to the United Soccer League in 2017. Owner Rene van de Zande said Aztex management is exploring three or four undisclosed options that involve a mix of city and suburban locations. While fans of pro soccer in Austin would certainly prefer to have had a stadium announcement by now, we’ll have to be satisfied with this update that, at the very least, the search continues. The Aztex ownership is keeping their cards close to the vest, which is understandable any time there are ongoing negotiations. Among those three or four undisclosed options we have the first on-the-record mention of a possibility that’s been overheard in supporter scuttlebutt recently: a partnership with the Austin Huns rugby team. Recently a new option emerged. 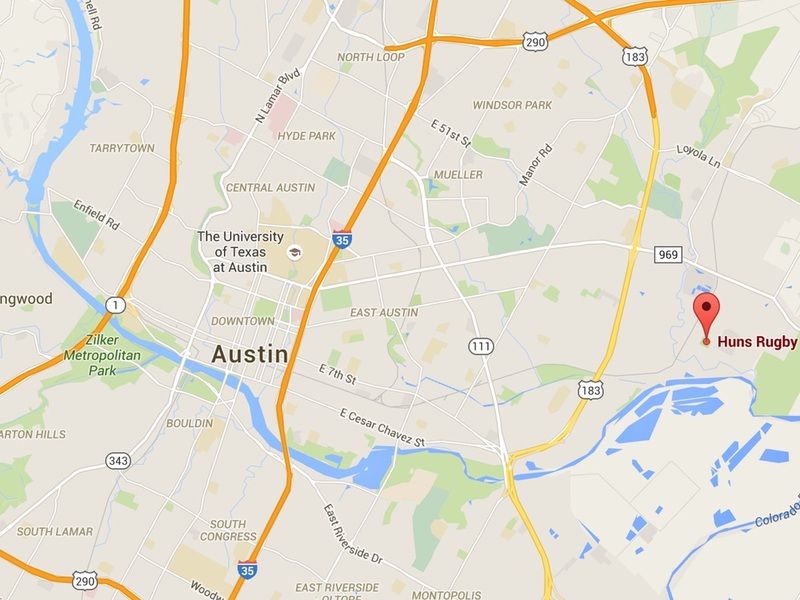 The Austin Huns rugby club owns 34 acres in Southeast Austin and plans to build a stadium there. The Huns say the Aztex would be welcome to rent the stadium for matches once it is completed. Osborne said his group plans to build a 4,000- to 5,000-seat temporary facility that could be ready for the 2017 USL season in late March. He estimated that the facility would cost $2 million. See this Statesman story for more on Huns Rugby and their plans to go pro. Although it’s hardly the downtown, close-to-everything location we would all love to see, it’s an intriguing option, not least because of the partnership with an organization that was founded over 40 years ago. Location of the Huns Rugby complex at 4107 Nixon Ln. Read the Statesman article for full details, including van de Zande’s response to recent mentions of Austin in MLS expansion statements made by commissioner Don Garber.